Oh my goodness, where did 2011 go? It’s a very surreal feeling – on one hand I felt like the year just flashed by – and on the other I look at all that happened last year and am amazed at how much I managed to fit into it! It was certainly one of the busiest years of my life, and I have to say, one of the most satisfying on many levels. For those of you who know me personally, you will know that in late 2010 I had my significant relationship break down, and became single and on my own for the first time in 16 years. It was a profound learning curve for me and one that I have ultimately relished, as I came to know myself in a deeper way, allowing myself a lot of time for self-exploration and growth, so that I could become very clear on the direction I am heading and what I want out of life – all without having to consider someone else’s needs and desires. There is a such a freedom and liberation in that, that I haven’t experienced as an adult. It was a process of grounding into who I really am, finding that beautiful space of self-love and acceptance that is now with me permanently, and brings such joy into my life. So that has been an amazing positive over the past twelve months. On New Year’s Eve 2010 / 11, I was newly single, and remember sitting at home on my own, feeling lonely, and crying over the fact that I didn’t have one invitation to go out, not one phone call, not one friend who thought of me at all that night. Yes, I was having my own little pity party, but what that led to was a resolve to create new friendships, deepen older ones and create a circle of people who are “my tribe” who love, nuture and support me – as I do them in return. And that has been one of the blessings of 2011, that I now have an abundance of wonderful, quality people in my life whom I just adore and I am grateful every day for their presence in my life. On a business level, Embracing Health has just gone from strength to strength. It was an incredibly busy year, starting off with a retreat, moving into a sell-out David Wolfe Tour of Australia and Bali, many more booked out retreats, and the continued development of the education side of my business. Opportunities have been in abundance this year, with the most incredible connections and synchronicities happening, that amaze me time and time again. 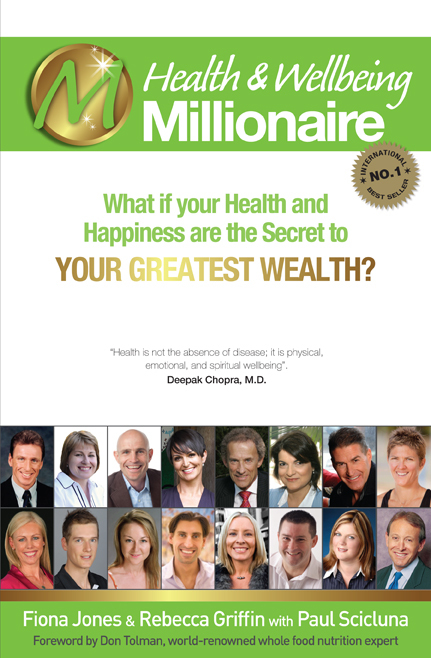 Mid-year I was invited to be a part of the “Millionaire” series of books, as the publisher was creating a new book in the series, interviewing successful entrepreneurs in the wellness industry. The book is titled “Health & Wellbeing Millionaires” and it explores the mind-set, attitude, and experiences of 16 successful Australian business owners in the health industry. I was thrilled to be a part of it – and the book will be coming out very soon – I’ll keep you posted about how to pre-order a copy in the next few days! Later in the year I was contacted by the producers of a pilot television series called RetreatMe – a travel show focusing on health retreats in Australia. They invited me to be a part of the series to create an episode around the Embracing Life! Retreats. They are filming my March Bali Retreat and the show will air later in 2012 – what another incredible opportunity! And lastly I had the best time running my retreats last year. Every single retreat was a very moving and humbling experience. They just keep getting better and better. The quality of people who come along, their courage, their openness, their willingness to learn something new and embrace the principles I teach, is just awe-inspiring and I’ll never take what happens at these retreats for granted. It is a life-changing experience for many who come along, and that is a privilege and an honour to be a part of. I look forward to facilitating many more retreats this year and meeting new groups of friends who journey this way. As for 2012, I believe it is going to be a very good year, filled with an abundance of love, friendship, happiness, family, work I thrive on, good health, and success. One of my goals this year is to find more balance in my life, between work and play. Even though 2011 was a wonderfully busy and successful year, it was a little too busy without enough down time, and that needs to change. As you know, health is much more than just what we eat, it is about that balance and finding time to just do nothing, socialise with friends, or just read a book under a tree for a few hours – there wasn’t enough of that in my life in 2011, so that’s my goal for this year! 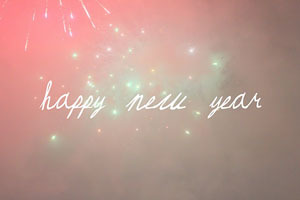 I hope your 2012 is a great one!